Been testing and trying to get the "Fast House Building" code to work but after finding the address to time remaining. I noticed when the code was enabled it just pauses the timer on the house. When disabled the timer would start counting up again. 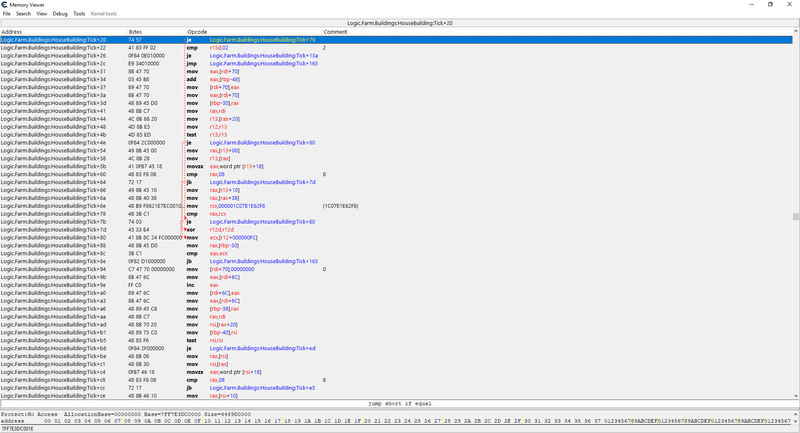 Here is a link to memory view with the code enabled/disabled. Although I doubt the images will help much. I'm not sure how to get it working. Also, I had to fix the 'NoWaitingTime (Ponds Contents)' code it was pointed at the wrong address on my system. I pointed it at correct address and it's working just fine now. So, to make the script properly working on your system, change 57 (line 3) into 5E, that should be all. i'm new to cheat engine and i am unable to open/activate the table?? What's happening when you click on that "Active Cheat Table" square? Gasp* How to find that time address? Sorry, not familiar with CE at all. Minor fixes to support Update 25 64bit ONLY!!! CT Update 23 32bit works fine with Update 25 32bit. has anyone been able to get this to work correctly with the latest update 28 (March 8, 2019)? Minor fixes to support Update 28 64bit ONLY!!! Minor fixes to support Update 28 32bit ONLY!!! 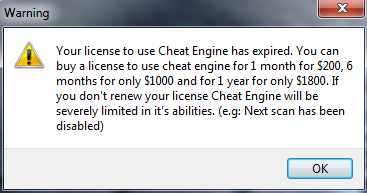 Great cheat engine - been using it with no issues . However; I can't change the amount of tickets I own. Gems, medals and money works perfectly! Just unsure why tickets don't. Put the value you want then go to harvest something and the value will change. I'm aware of that as the other values change (as said, gems, medals and money works). However, tickets do not. I'm aware how to change the values, but tickets are not reflecting the change in game. Ok, then I'm afraid to not be able to help you - I just checked (game + cheat table update 28) and it works as intended. fast building is not working for me, and nobuyitemrequirements glitches out the store and freezes the game. i went back on this forum to try to see if it was addressed, and couldn't quite figure out what was being given as an answer to what was the closest issue. I'm using steam, and also know nothing about coding in the least, but it was mentioned that for steam i might need to change something in these lines ( https://ibb.co/tQV5n9w ) to get fast building to work? But I don't know what or how to even change it. Minor fixes (Photo Mode) to support Update 30 64bit ONLY!!! Minor fixes (Photo Mode) to support Update 30 32bit ONLY!!! May not work properly for users playing the game under steam!!! You have many indications on previous page - Just have to take your time and read.